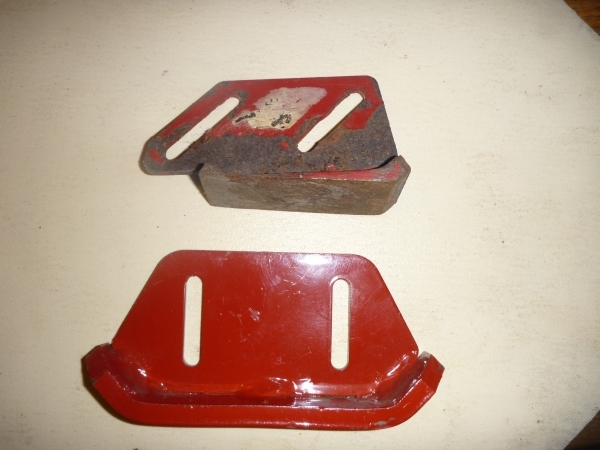 Attached are a couple more photos showing two different skids for Toro 1132 Powershift snowblowers and also used on other Powershift models i.e. 828. 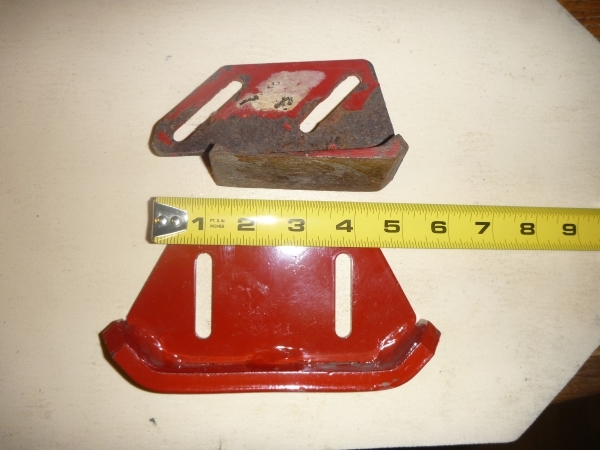 The 2nd (bottom) is Toro part number 74-1440-01 and was used in 1992 and newer models with slot spaced at 2.875″ BC. (angle of photo made tape reading appear to be 2.75″ but it is indeed 2.875″ BC). This message is just for your information and a lesson learned for me.